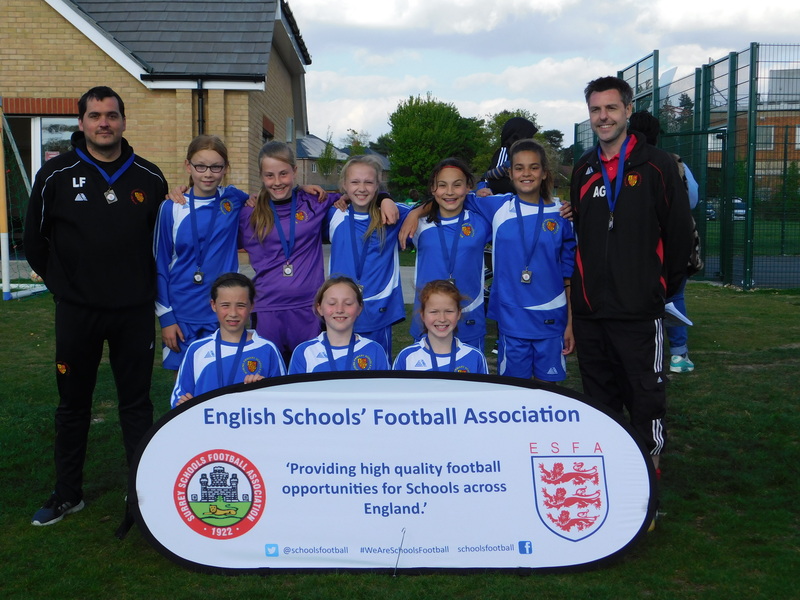 On Saturday 10th June, a team from Woking District Girls U11 football travel to Derby for the National Finals of the ESFA (English Schools FA) Premier League District competition. The District side is drawn from girls in Years 5 and 6 at primary schools across Woking, with 13 different schools being represented in their current squad of 23. This is the first time the girls team have ever qualified for the National Finals and Woking are one of two qualifiers from the South-East region. They will be up against teams from across the country including Preston, Sunderland and Swansea in the 8-team finals that take place at the Academy facility of Championship side, Derby County. The girls have played over 30 league and representation matches this season and have developed hugely, both as individual players and as a squad as the season has progressed. Amongst many memorable games, highlights have included coming back from 3-1 down to beat West Kent 4-3, beating Croydon and Sutton home and away in the Surrey league and making the long trip to Gloucester twice, being unbeaten in their festival on the first trip and winning a very competitive friendly 4-3 on the second visit. 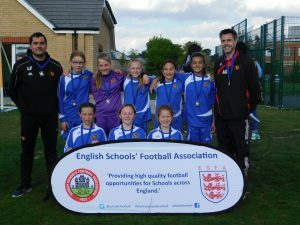 The girls qualified for the Finals by winning the 10 team ESFA/Premier League South-East District tournament which was hosted in Woking last month at the wonderful, new, purpose-built facility at Brookwood Farm. 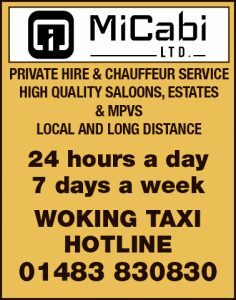 Having topped their group by winning 3 and drawing 1 of their 4 group matches without conceding a goal, Woking played Barking & Dagenham in the final with the place in the national finals at stake for the winners. After normal-time ended in an extremely competitive 1-1 draw, sudden-death extra time saw both sides come very close to scoring before the match had to be settled by a penalty shoot-out. 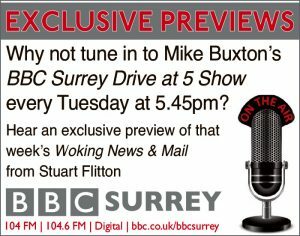 The Woking girls kept their nerve scoring all their penalties and, with the help of a couple of saves by the home keeper, won the shootout 4-1.